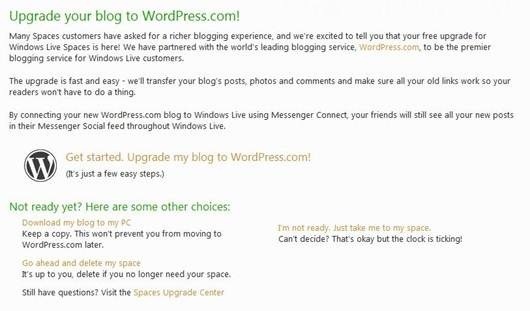 Windows Live Spaces, a blogging platform by Microsoft is shutting down and now they are requesting existing users to migrate to WordPress.com. As we all know, Windows Live Spaces is having very limited features at the same time, WordPress is no doubt the favorite blogging platform at this time with lots of features. Live Spaces users are having 6 months to migrate their blog from there to WordPress or other platform. Windows Live team and WordPress team has come up with simple process to migrate Live Spaces blogs to WordPress.com in a few minutes only in simple steps. In this article, I will show you how to migrate or move Windows Live Spaces blogs to WordPress.com. 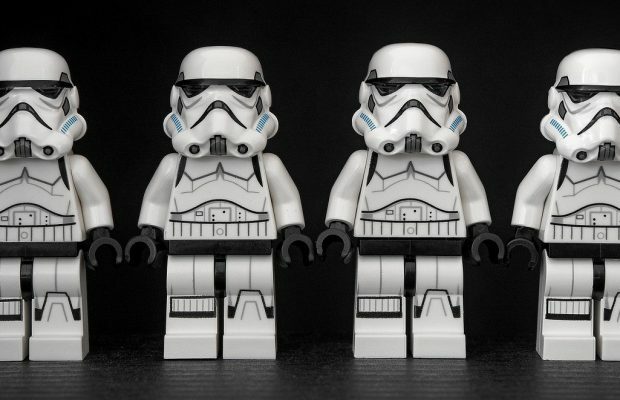 There are two types on WordPress, one is self hosted WordPress and other is WordPress.com (hosted by WordPress team). If you want to read more about them, then go ahead and read our coverage on WordPress. Anyway, we are here to migrate blogs from Windows Live Spaces to WordPress. 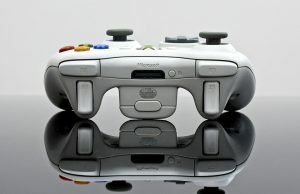 So go head and click on “Get started. Upgrade my blog to WordPress.com!”. 2. Now next screen will ask you to connect your Windows Live account to WordPress.com. Click on connect button. 3. You can connect Windows Messenger with WordPress.com on next screen as well. That will help your contacts know your new blog address and new posts. 4. Now, on WordPress.com dashboard, you need to pick a name for your new blog and fill other details as well. Once you are done with that, you can start blogging on WordPress.com. Important – After the upgrade to WordPress.com, your old URL (Windows Live Spaces blog) will start redirecting to the new address of wordpress.com. That will be a 301 redirect so you don’t have to worry about link juices, previous backlinks, SEO (Search Engine Optimization) etc. 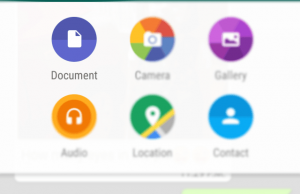 Your old visitors will come to the new address automatically. 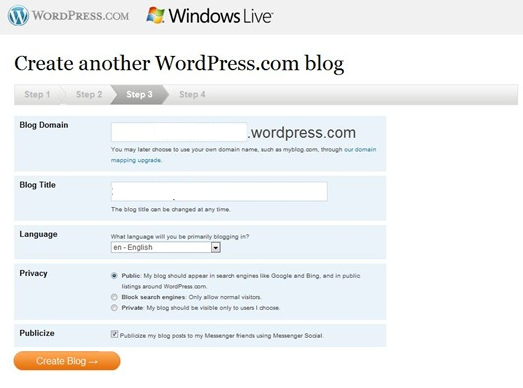 Update – According to Windows Live team, in upcoming version of Windows Live Writer (Blog authoring tool by Microsoft), WordPress.com would be the default blogging platform. Internet Techies runs on self hosted WordPress and we have few blogs on WordPress.com as well. I am sure that you will love the new platform and its features. 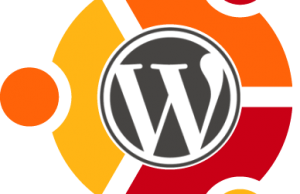 Welcome to WordPress platform and happy blogging!